Something about the beginning of the new year gives you that boost for a refresh. Like you are ready to take on the world. One of the few things I need to refresh into the new year is a new perfume scent. The right scent can give you that confidence to rock that presentation, dominate an interview, or just be awesome. Unfortunately, for me, it has been a while since I bought a new perfume bottle and was utterly lost where to begin looking for a new one. I wanted one that matches my personality. With all the options out there, my head was spinning. Luckily, I came across Pinrose. Pinrose is a luxury fragrance brand that aims to make high quality fragrances for the everyday modern girl. All of Pinrose’s perfumes are designed by the best Master Perfumers suchs as Tom Ford and Jo Malone. 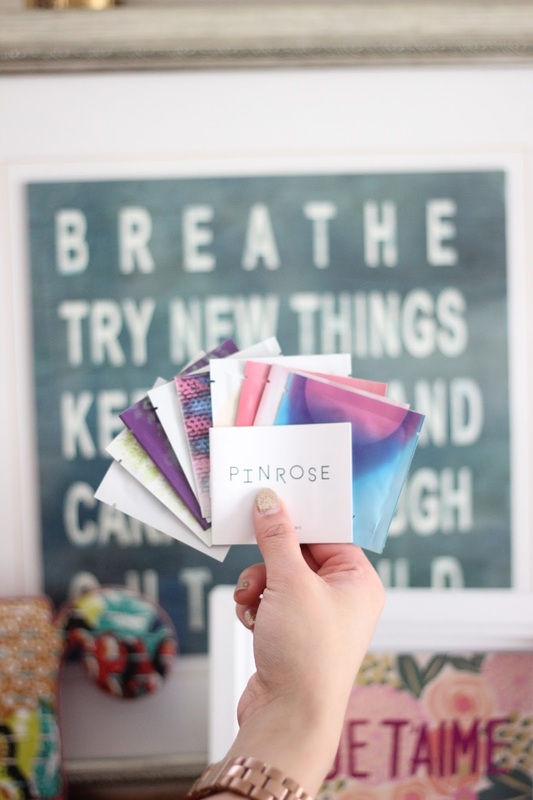 I know what you’re thinking, so how does Pinrose make my selection of the perfect perfume easy? Well, they utilized cutting edge technology that helps their customers shop. My favorite use of technology is their scent personality quiz. Based on your responses to this quiz, it will guide the right scent for you. I am the ‘Goddess’ which includes Secret Genius, Merry Maker, and Treehouse Royal. The quiz could not have been more right. I love these fragrances! 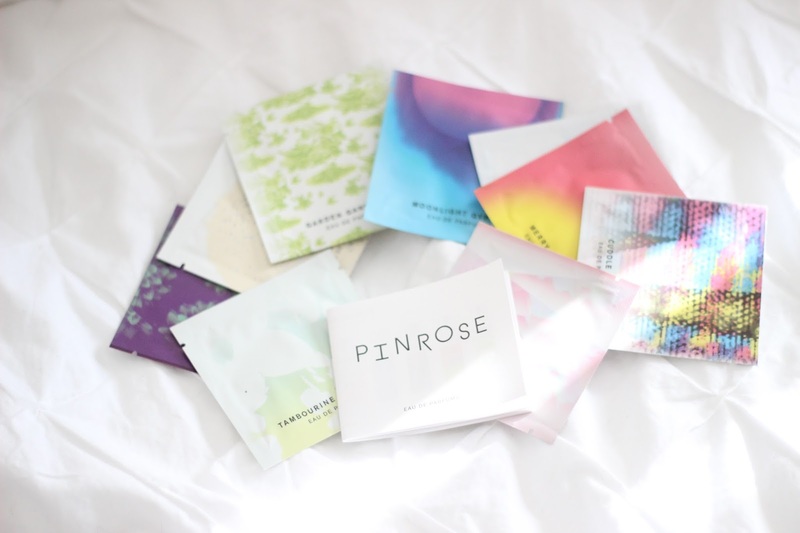 For those who are indecisive and don’t want to commit to just one scent, Pinrose provides petals of each scent. So if you are a ‘Goddess’ like me, you will get petals from each scent that fall under the Goddess set. They also provide a sample travel fragrance pack (which I currently have as well) so you can try out each scent. Each day, depending on your mood, can be different. The best part of these petals is they are easy to travel with. No need to worry about transferring the liquid to a travel container or any spillage! If you don’t like any of the petal pack sets, you can customize your own. Check out how to customize here. To take it to the next level, each petal has cute phrases on the back. If you are ready to commit to a bottle, I provided some of their fragrance bottles below. They are also now available in Nordstrom! Wow, never heard of Pinrose. Love that the fragrance is on a wipe. What's easier than that. You can really control just how much and where you place it. So much better than a spray. Thanks for the info. I like that they allow you to play around and try different scents. Great find woman. Aren't they great?! They do offer a spray but I love the petals better because they're just so convenient and you can get a little bit of everything! Cool concept! It's always hard to know what perfume you'll actually like once you get it home and start wearing it. So true! Thanks Amy Ann! Hi, Rachel! Love the post! 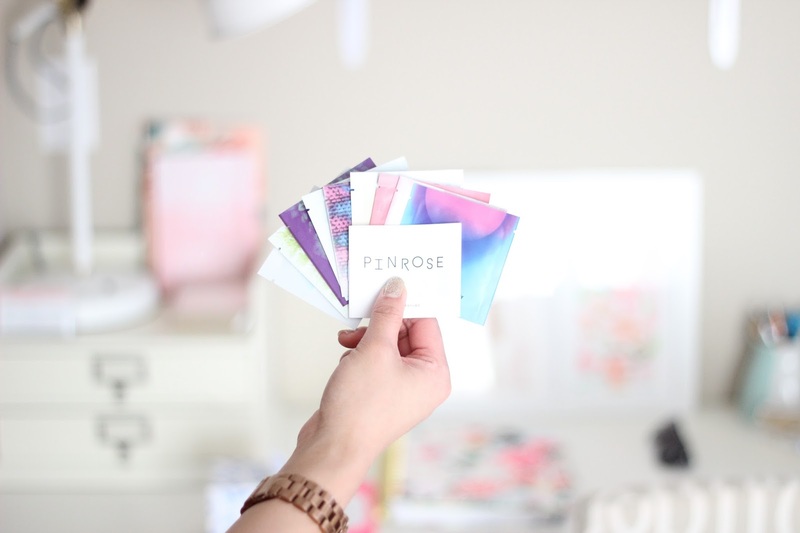 We get a glimpse of your cute office and I am thrilled: I never heard of Pinrose before! I will definitely check the brand out! Happy Wednesday, love! Hope to see you soon! Aww thanks Vanessa! It's a small little corner but it gets the job done haha! 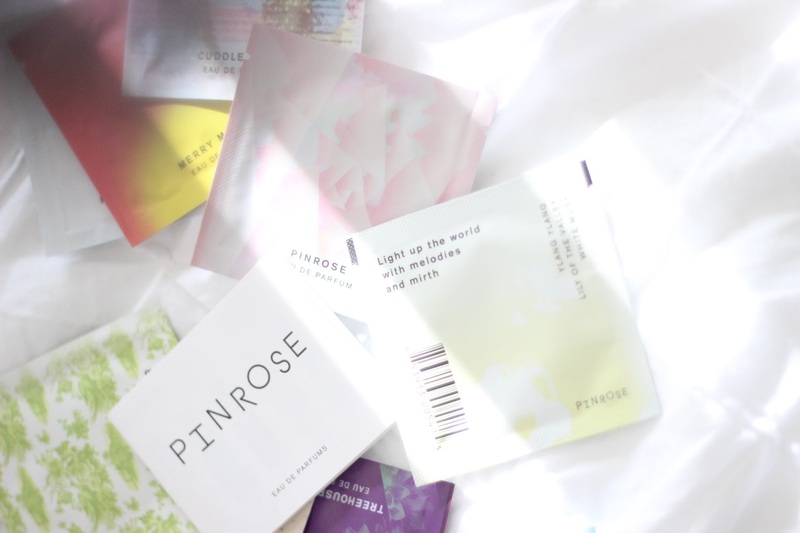 Yea pinrose is awesome and I love their fragrances! This is such a cool concept! And I love that you're a "Goddess" — how cute! Those look perfect for traveling with, too! 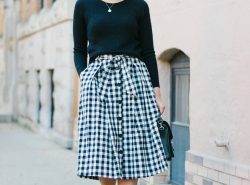 Isn't it cool?! Haha I love their quirkyness! Definitely worth checking! Plus the petals are super affordable! This is a good idea for sure. Thanks for sharing and happy new year. Thanks Missy! Happy New Year to you too! Those sound amazing! I love the idea of a sample travel pack. It's always so hard to commit to one! Thanks Jamie! They truly are awesome! Definitely should! Happy New Year! I didn't even realize those were perfumes. I love any product that can be specific to your needs. that's really awesome! its been way too long since I've gotten a new scent as well, definitely gonna check them out! Thanks girl! Hope you like them as much as I do! Hadn't heard about them, but they sound amazing! 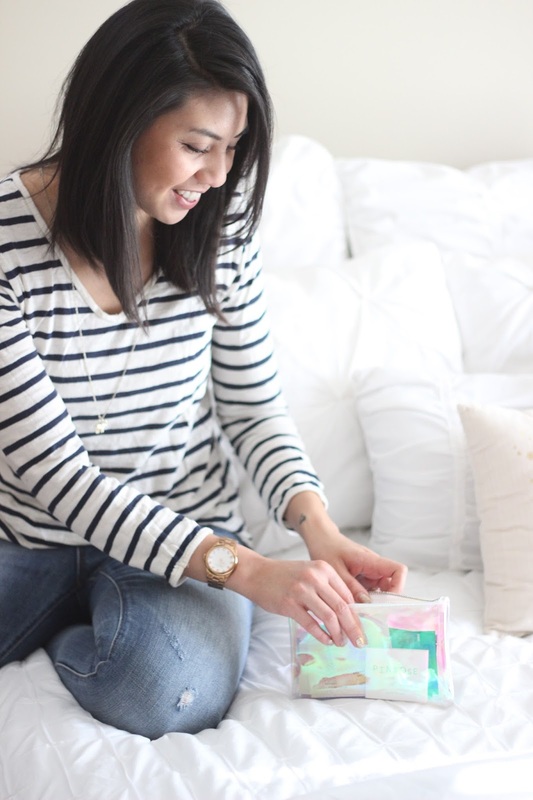 In love with your blog and its content! So so adorable! I love this concept and that you can try different options! Oooh how fun! I am the 'charmer' that has an interesting blend of Cuddle Punk, Pillowtalk Poet, and Secret Genius lol. It's interesting how they used synesthesia data to make this quiz! So glad to hear you took the quiz! Isn't fun and interesting? Hopefully you like their fragrances as well! Very cool! I was looking at all these pictures and wasn't sure what they were. Its cool you can try all different options. Thanks for sharing! This sounds like such a cool idea and a great way to try out different scents! I get overwhelmed by trying perfumes on at stores because after you smell 3 or 4 they all start to smell the same. Haha that's how I feel too! I'm sold because the packaging is cool. I was scrolling through the photos, loving the designs, but not sure what it was! It seems like a really interesting concept. Scents are SO personal and I think they "get" that, which is so nice! Cute packaging gets to me too haha! They come in bottles but I think the petals are more convenient! I love the fact that this allows you to test out smells before really making a full commitment. The packaging for these little packets are also so pretty! 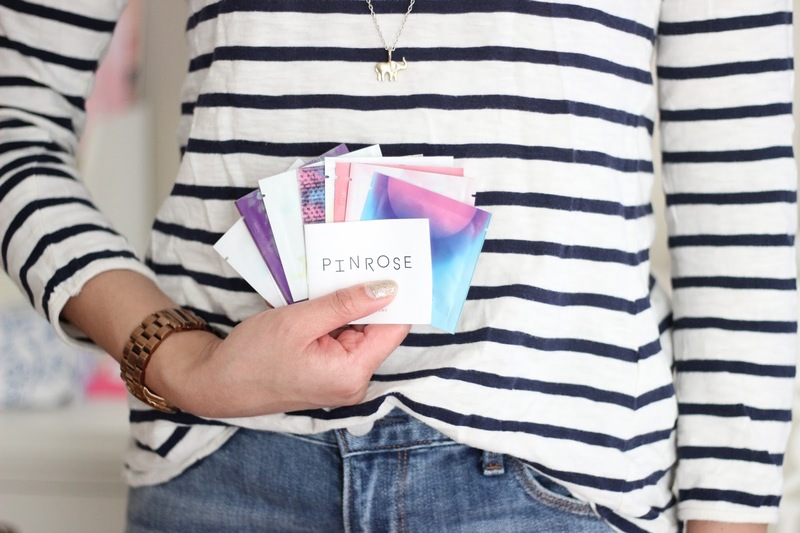 Really need to to check out Pinrose! Great post and lovely photos! 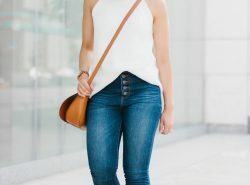 Lovely blog, lady! It's one of the reasons why I love Pinrose! I hope you like them as much as I do! Definitely try it out and let me know what you get! What a fun concept! Love the idea of the scent personality quiz too. I'm in the market for a new perfume, I'll have to check them out! Thanks Rachel! Let me know what you think! never heard of pintoes before! but it surely seem fantastic! They're great! Let me know what you think! I've never heard of this perfume, but I'm sure it's lovely! I've also been trying to find a new perfume for the year… still searching haha. They're def worth looking into! Isn't it! Hopefully these will work! 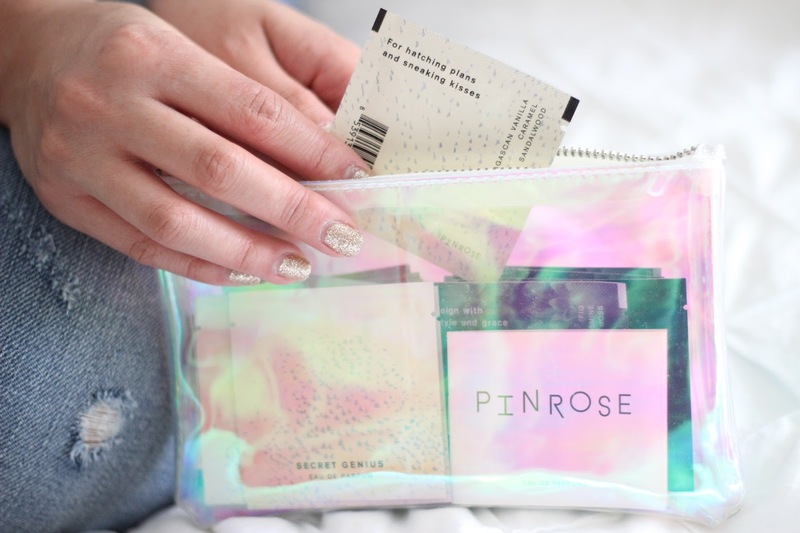 I've never heard of Pinrose, but I really love this concept, thank you so much for sharing! The bottles are so pretty! Thanks Esther! The concept is genius! What a cool concept! I love perfume, this is such a great idea so glad I checked out your post today!!! Thanks so much for sharing! Happy New Year! Thanks Auna! Happy New Year! This is such a cool idea, definitely want to try! Same! Glad to hear you like them as well!